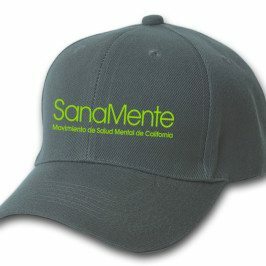 Design file with SanaMente logo to print on a baseball hat. El archivo con logo de SanaMente esta listo para imprimir en una gorra de beisbol. SanaMente Baseball Caps are also available for purchase through the Each Mind Matters Shop.